#1142 Delicate and fanciful patterns of winter frost appear on the inside of our windows. 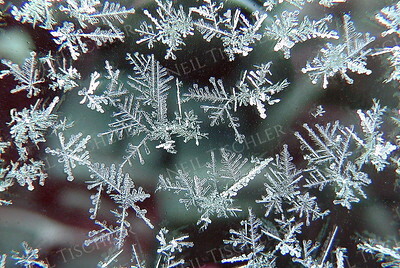 #1141 The patterns of winter frost on our windows differ each time they occur. This one we've named "The Dragon." 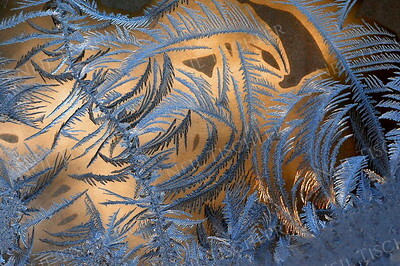 #1140 Delicate and fanciful patterns of winter frost sometimes appear on the inside of our storm windows. 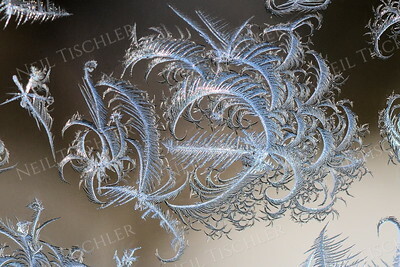 #1111 Delicate and fanciful patterns of winter frost sometimes appear on the inside of our storm windows. 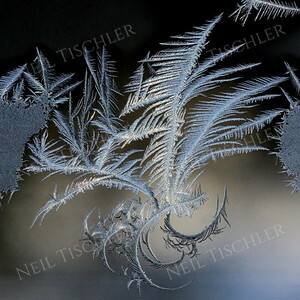 #1110 Delicate and fanciful patterns of winter frost sometimes appear on the inside of our storm windows. 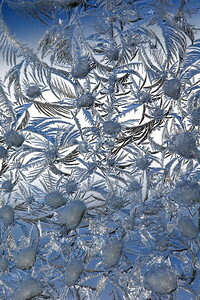 #1109 Delicate and fanciful patterns of winter frost sometimes appear on the inside of our storm windows. 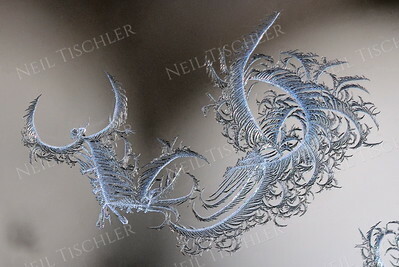 #1108 Delicate and fanciful patterns of winter frost sometimes appear on the inside of our storm windows. 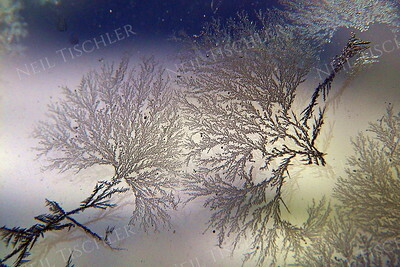 #1107 Another winter frost pattern on the inside of our storm windows. 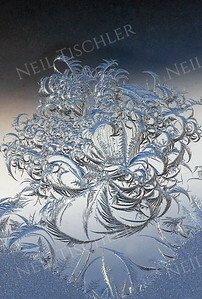 #1037 Delicate and fanciful patterns of winter frost sometimes appear on the inside of our storm windows. 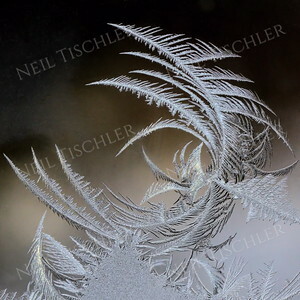 #976 Delicate and fanciful patterns of winter frost sometimes appear on the inside of our storm windows. 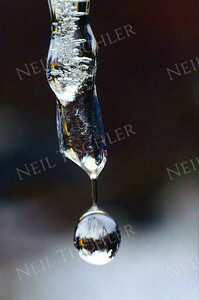 #956 I took hundreds of shots before I captured this moment, just before the water droplet broke free of the icicle. 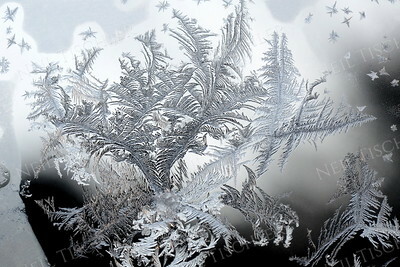 #919 Delicate and fanciful patterns of winter frost sometimes appear on the inside of our storm windows. 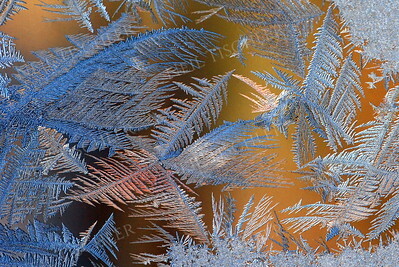 #804 Delicate and fanciful patterns of winter frost sometimes appear on the inside of our storm windows. 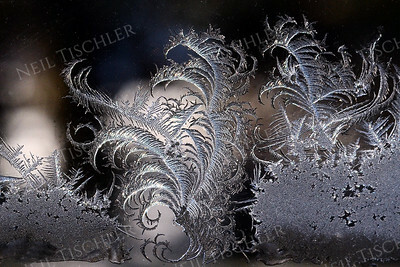 #794 Delicate and fanciful patterns of winter frost sometimes appear on the inside of our storm windows. The natural color in this image has been enhanced. 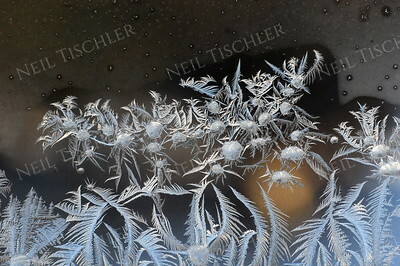 #793 Delicate and fanciful patterns of winter frost sometimes appear on the inside of our storm windows. 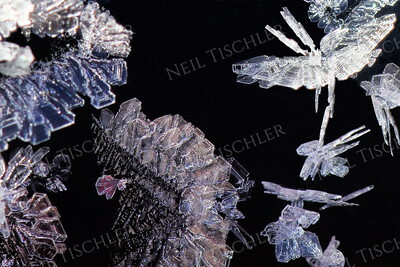 This image shows the refrozen water droplets from the prior morning's frost pattern acting as nucleation sites for new frost crystal growth. 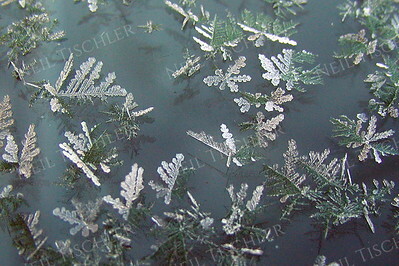 #790 Delicate and fanciful patterns of winter frost sometimes appear on the inside of our storm windows.. 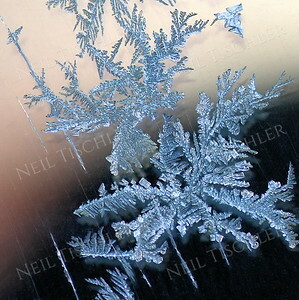 This image shows the refrozen water droplets remaining from the prior morning's frost pattern. 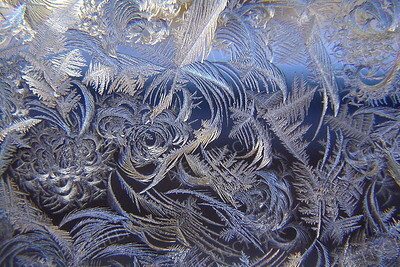 #784 Delicate and fanciful patterns of winter frost sometimes appear on the inside of our storm windows. 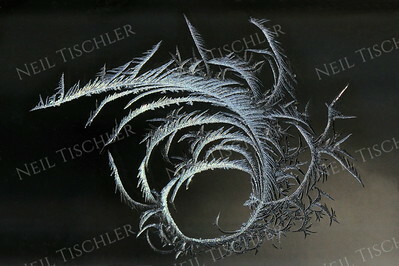 The natural color in this image has been enhanced. 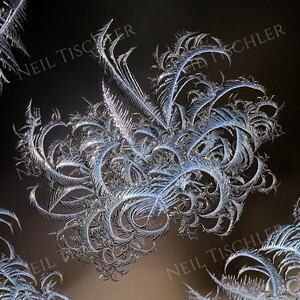 #321 Delicate water crystals form atop our car parked outside in the cold winter air. 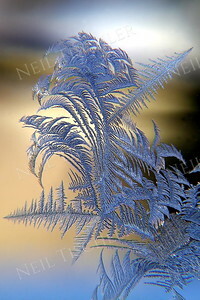 #211 Delicate and fanciful patterns of winter frost appear on the inside of our storm windows. The natural colors in this image have been enhanced. 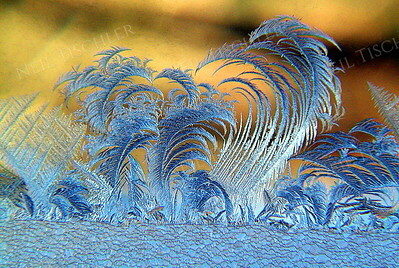 #204 Delicate and fanciful patterns of winter frost sometimes appear on the inside of our storm windows. 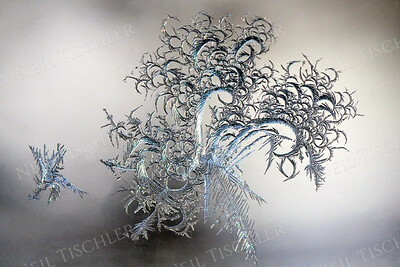 #162 Delicate water crystals form atop our car parked outside in the cold winter air. #138 Delicate fan-shaped patterns sometimes grow on our car windows parked outside in the cold night air. 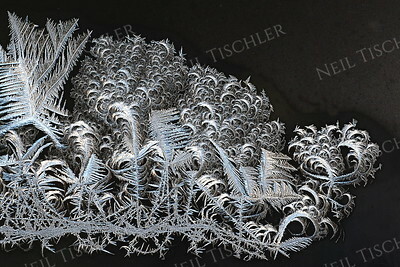 #122 Frost crystals grew overnight on the branches of a lilac bush. 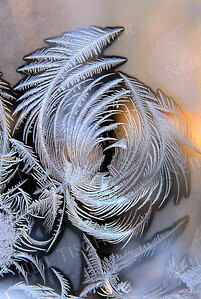 #110 Delicate and fanciful patterns of winter frost sometimes appear on the inside of our storm windows. 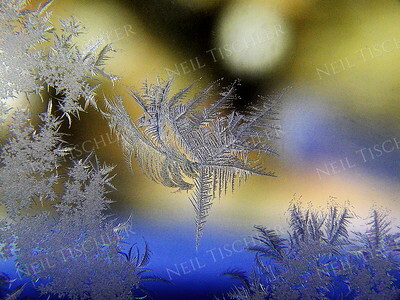 #002 Delicate and fanciful patterns of winter frost appear on the inside of our storm windows. We call this pattern "The Dancer."